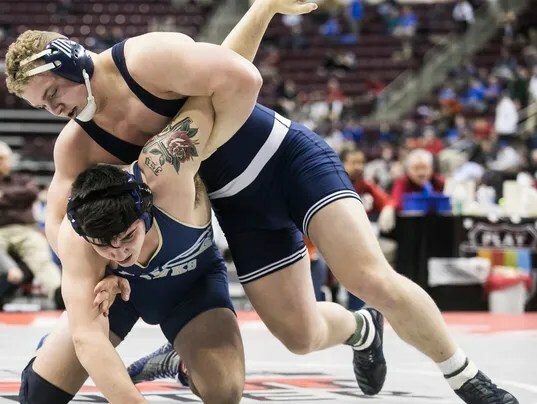 HERSHEY — Drawing a tough opponent in the opening round of the PIAA Class 3-A state wrestling championships, Dallastown senior Bryce Shields knew earning a first ever state medal would be difficult. Despite losing his opener on Thursday, 7-5, to Council Rock South’s Joe Doyle, the defeat gave him confidence for the rest of the tournament. He gave one of the top 220-pound wrestlers in the state a challenge. The only downside to it was that one more loss and his high school career would be over.